According to some Chinese specialists’ opinions I am referring to now, one has to consider the following 6 properties of tea to understand shu pu-erh: depth of taste, smoothness, moisture, sweetness (sugariness), purity of taste, and quality of flavor. This term comprises a range of sensations and its interpretation varies slightly depending on the context. Literally, the word (厚度) means thickness which most often signifies profoundness (depth) when related to tea, but it sometimes refers to density, since 厚 "hou" also means consistence and strength. In general, depth is a very pleasant sensation which arises when tea liquor slips into your mouth stimulating your taste papillae. In order to feel it more intensely, you can stir the liquid with your tongue in your mouth to perceive the fullness and richness of the taste and appraise viscosity and consistence of the liquor. Depth of taste and strength (concentration) of the liquor are not identical. Depth is associated with the nature of tea (i.e. it depends on how rich the raw material is). It is intensity of liquor provided by the composition of substances dissolved in water for comparatively long time which is experienced in gustatory sensations as density, consistence, and a kind of multi-levelness. 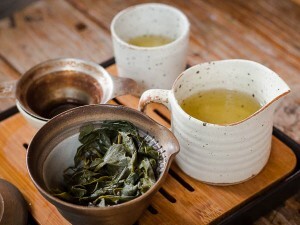 Depth of taste (厚度) is associated with the nature of tea, it depends on how rich the raw material is. Smooth tea just slips along your tongue and then into your throat towards the stomach. Good shu pu-erh is able to moisten your throat. It is a sensation which arises after you take a sip – dryness in your mouth disappears. Experienced conoisseurs always pay attention to this property of tea. 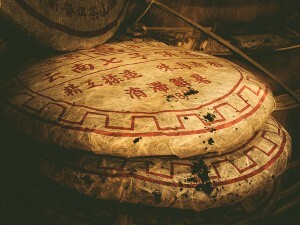 Moisture is characteristic of high quality shu pu-erh, a sign of proper ripening. This tea is said to be “wenjun ju iu” – as tender as jasper, “ju mu chun feng” – as if flushed by spring air, like a breath of fresh air, giving pure delight. If after 3-4 pours tea liquor provides a refreshing, cool and moistening effect, filling your stomach softly, this is what is called moisture of shu pu-erh. And if after 3-4 pours tea provides a refreshing, cool and moistening effect, filling your stomach softly, this is what is called moisture of shu pu-erh. Sweetness or sugariness is one of the easiest to understand and most immediate sensations. Sweetness of tea can be felt even before you take a sip as it manifests itself in the flavor of dry tea, you can perceive its sweet smell when bringing the cup to your mouth. 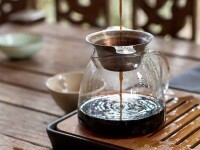 Since shu pu-erh hardly has any astringent bitterness in its taste the sweetness is even more pronounced. It can be felt when you take a sip, when the liquor touches the back of your tongue, and you enjoy the sensation of sweetness which spreads all over your mouth and lasts for a long time. Sweetness or sugariness is one of the easiest to understand and most immediate sensations. Purity of taste is an essential indicator of how fermentation has taken place and how the tea has been stored. Incorrect fermentation under improper conditions, involving any imbalance in participation of microorganisms or improper sanitation followed by disorderly storage inevitably affects the taste of tea. This manifests itself by some disagreeable flavors or those dissonant to the core taste of the tea. This can be described as some interference as disturbing as a mosquito buzzing around your ear. 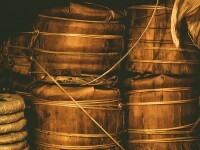 By contrast, purity of taste is experienced as a very comfortable, unmingled, consonant flavor. Purity of taste is experienced as a very comfortable, unmingled, consonant flavor. Various raw material and blending recipes certainly provide different flavor profiles. After damp stacking, shu pu-erh is sure to have some odor of stack and it will take some time for it to go away. 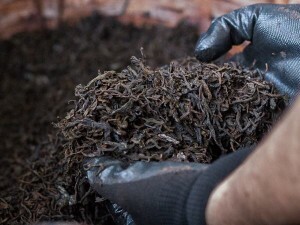 However, to a certain extent, proficiency in performing the fermentation and strict compliance with production standards reduce the intensity of the unpleasant odor. Otherwise, it takes two or three years for it to disappear. Chen xiang (mature flavor) is the basic flavor, like a foundation, for shu pu-erh. Proper storage (maturing) allows tea to “go beyond” to enrich its flavor with other nice savors such as that of camphor (zhang xiang), ginseng (shen xiang), medicinal herbs and balms (yao xiang), wood (mu xiang), date (zao xiang), etc. However, if tea flavor aspects are originally poor, storage will not improve them. 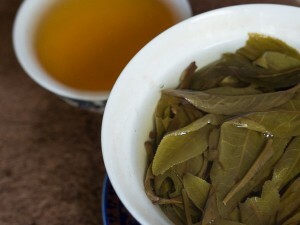 Chen xiang (mature flavor) is the basic flavor, like a foundation, for shu pu-erh. To sum it up, it can be said that good tea speaks for itself. If your body and heart enjoy drinking some tea, it is the one you need. Indeed, you do not have to be an expert to feel whether some tea is harmonious. Good tea does not require any sumptuous and lofty descriptions because “you have to try to know” is the principle that works in this case. Oolong tea is well suited for the tea ceremony. It has a bright organoleptic (taste and aromatic) pr..